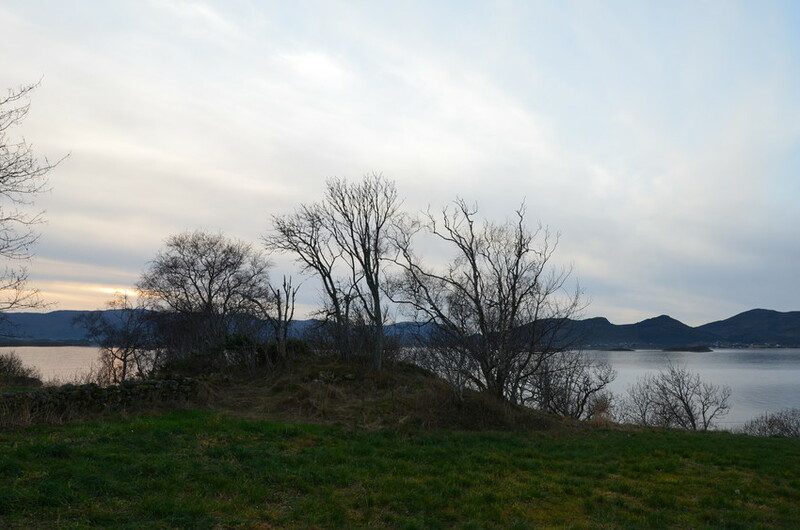 Burial mound with a view towards the Flåvær passage, part of the coastal fairway. The mound is about 17 m in diameter and 2.5 m high. Probably dates from the Iron Age.